Review: Dead Rising 4 for Xbox One // Mario's Hat - Gaming News from the North! Let me start off by establishing a couple of facts about myself which will no doubt colour this review, or possibly even others’ regard for this review. First: I am so over the whole zombie thing. In truth, I was never much into it to begin with. I’ve never seen an Of the Dead movie, be it Dawn or Shaun, and I only regard The Walking Dead with a distant fascination for the cultural phenomenon that it is. I’m okay with zombies in some cases, like as Dracula’s foot soldiers in Castlevania or as a character like Rottytops in Shantae, but the whole “mindless horde” thing just never grabbed me. I’ve never played a Dead Rising game before. Not for lack of desire, mind you. The simple fact of the matter is that when the original Dead Rising came out way back in 2006, I did not yet own a high definition television (they were still a bit pricey at the time), and if you didn’t own an HDTV, the minuscule text (which is still hard to read even with an HDTV in a lot of games. Really, what the hell, games industry?) meant you were pretty much screwed. While Microsoft Studios and Rare were happy to fix this issue with Banjo-Kazooie: Nuts & Bolts, Capcom was happy enough not to. And so it was. For one reason or another, I never got around to playing it or its successors over the years. But now, the stars have aligned, and with what has been termed a “soft reboot” of the series, I’m finally getting a taste — though, from what I understand, it’s a different taste than people are used to. One other thing I’ll be upfront about: A major part of why I wanted to play this game, aside from my longstanding desire to finally give the series a shot, is the time of year in which it’s set. It’s the holiday season in Willamette, Colorado, which just so happens to be the site of the original game. And with it actually being the holiday season as I write and play this in real life, I just really, really love the synchronicity between game and reality. It’s the same reason I was disappointed that Luigi’s Mansion: Dark Moon wasn’t released around Halloween — there’s just something about it that speaks to me (which is why I fast-tracked this review to the head of the line). Dead Rising 4 really nails it, too. Even though the town and its newly-opened shopping mall are somewhere between a war state and post-apocalyptic, the snow on the ground and the decorations sell the whole Christmas-y vibe. If that weren’t enough, remixes of holiday tunes play whenever you pull up a menu, driving the whole thing home. Plus, if you’ve been wading through crazed, rioting shoppers for Black Friday or the like, the thought of cutting loose against anything in your path probably sounds kind of cathartic after a long day. Another thing that works really well for me is that it is basically an evolution — a real, honest-to-goodness evolution — of the oldschool arcade beat ’em up. That’s the crux of the action, but there is so much more to it, feeling so far removed from those roots, yet still clearly inspired by it. And it’s not just in how you can level up and customize Frank, though there is that, too. Almost anything you see is a weapon, and if a weapon happens to break, then you either take up another in your small inventory, or you go to town with your good friends Left Hook and Right Cross. Swords, bats, 2×4’s, chairs (I love using a good folding chair), cash registers, hollow snowman heads — you find it, you can use it. Plus, racking up sufficient combos allows you to perform a special sort of “finishing” move on an enemy. I just wish more of these were crowd-clearers than focused on an individual. What’s more, you can also combine different items after finding blueprints in order to make newer and ever-wilder weapons. This even applies to the vehicles you find scattered around (or purchase from vendors in the shelters you’ve cleared out). You’ve also got firearms, which are typically good for picking off lone targets at a distance, but depending on what you’re using, less good when these uggos get up close and personal. Throw in some throwable items such as grenades and saw blades, as well as a variety of healing items, and you’re ready to take down zombies, crazed survivors, militants, and more in a variety of ways. Oh, and I almost forgot! New to the series are the different exo-suits you can find and/or buy. These suits of powered armor allow you to cut through zombies like a hot knife through butter, which is good — these things are more durable than you might imagine. The exo-suits also have certain weapons that only they can use. With the enhanced strength, you can swing around a parking meter or wield a giant Gatling gun to help making the streets safer a little bit easier. Compared to beat ’em ups of the past, where the goal was to simply beat up guys until you ran out of guys to beat up while moving in a line, Dead Rising 4 is a bit more mission-oriented in nature. There’s a story going on here, a mystery, and as the journalist that he is (he’s covered wars, you know), Frank West is out to get to the bottom of what’s going on. The result is that you’ve got a large, open world to explore — both inside the absolutely enormous mall, on the streets of Willamette, and elsewhere — but you’re not left to wander aimlessly, as you have targets and destinations to reach while either smashing or avoiding the legions of undead in your way. What’s more, Frank has his trusty camera on-hand (no smart phone pictures for him! ), which he uses in conjunction with night vision and spectrum analyzer lenses to take pictures of the goings-on for money investigate different scenes across the city. You’re given clues as you go into “investigation mode” (but with no fancy music like that Wright kid has to accompany it, sadly), and sometimes the chatter can get a little incessant if you take too long to find what you’re looking for, but it’s a fairly satisfying inclusion that adds a bit more depth to the game and story alike, and fits Frank’s character pretty well, too. Also, you can take selfies, complete with the ability to change Frank’s expression to something goofy. Not everything is merry in Willamette, though — at least, depending on who you ask. While I’ve not played the previous games for myself, I do know that there are three pretty significant changes for Dead Rising 4 which don’t have some fans feeling very jolly about. One is Frank West’s voice. Portrayed by Terence J. Rotolo in most of his in-game appearances (Peter von Gomm had the role in Tatsunoko vs. Capcom: Ultimate All-Stars), West is now played by Victor Nosslo. The reason Capcom has given is that since the game takes place some 16 years after the events of the first game, and they wanted someone who sounds “older and more grizzled. Fair enough, though it would be unfortunate if Rotolo weren’t at least given the opportunity to show he can do older and more grizzled. Another big change is that things are no longer on a timer. While this doesn’t bother me personally, as I’ve always enjoyed the freedom to explore more often than not, it may be an issue for series veterans. Still, if Capcom is trying to attract newcomers to the series, then that may not be the worst way of going about it. Then there’s co-op. While the story mode no longer features cooperative gameplay, there is a separate mode where up to four players can rally together online to bust some heads. Personally speaking, I’ve been quite enjoying this as my first real Dead Rising experience, even if it has changed some things up from previous entries. 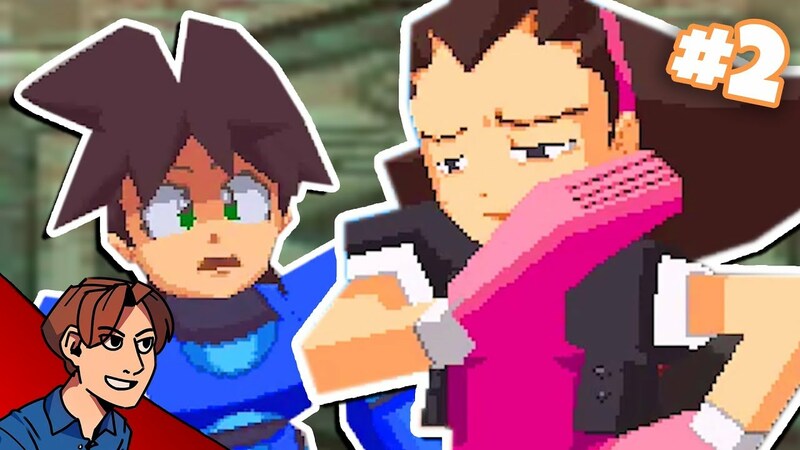 While the missions themselves don’t take too long to complete over the course of the game’s seven chapters, it has a lot of replay value as you explore and discover all sorts of new things, from locations to Capcom Easter eggs and more. Just as an example, when I completed the first chapter, I’d only found around 10 percent or so of the secrets laying around, so I hope to have this one keep me busy throughout the holiday season. And that’s the big thing for me. Outside of being an entry in the Dead Rising series, I’ve just found this to be a blast as a holiday game, and strongly encourage checking it out before the New Year rolls around. It will still be a good game afterwards, to be sure, but there’s just something about that sense of harmony that can’t be topped any other time of the year. Dead Rising 4 was released for the Xbox One and Windows 10 on Tuesday, December 6th, 2016 at a price of $79.99 for the Standard Edition and $99.99 for the Deluxe Edition.